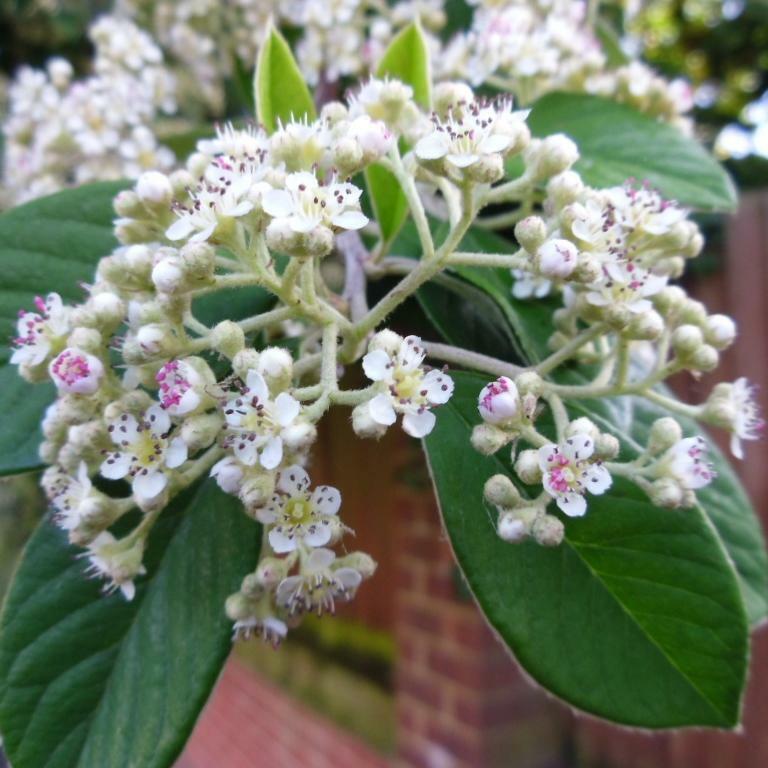 A beautiful evergreen shrub or small flat headed tree from 8 to 12 ft high; young shoots at first covered with a dense white felt, later bare and reddish purple in colour. Leaves obovate or broadly oval, usually pointed, sometimes rounded at the apex, always tapering at the base, dark green above, clothed beneath with thick white felt. 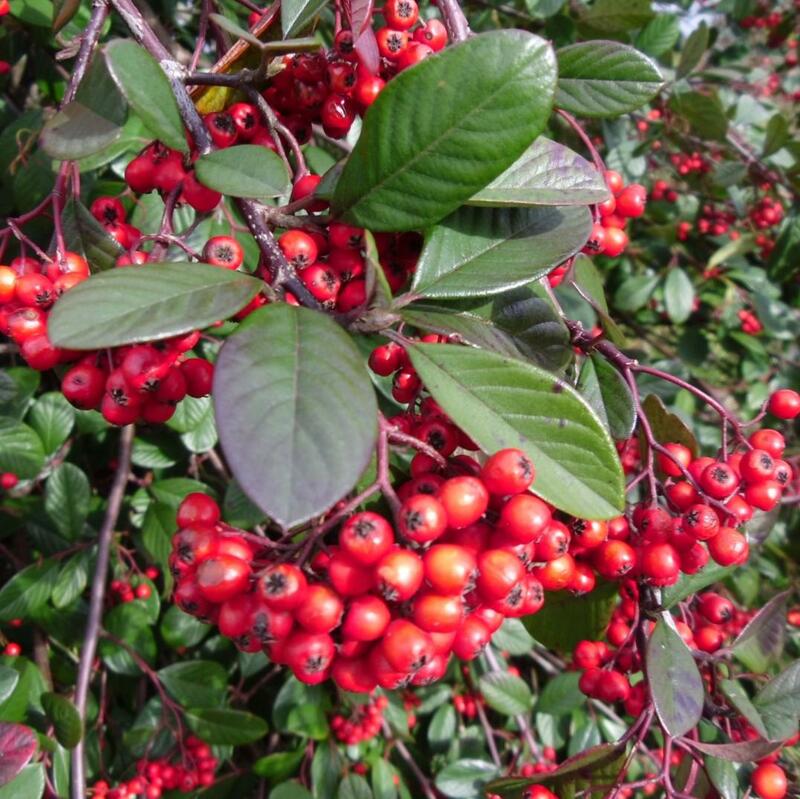 Flowers produced is abundance in corymbs 2 to 3 in. 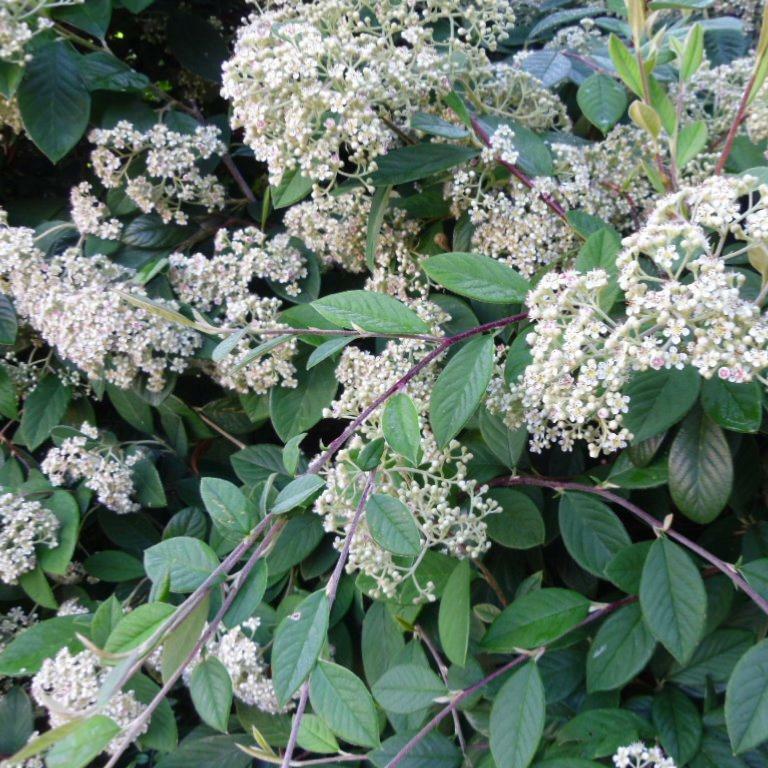 wide during late June and July,milky white. 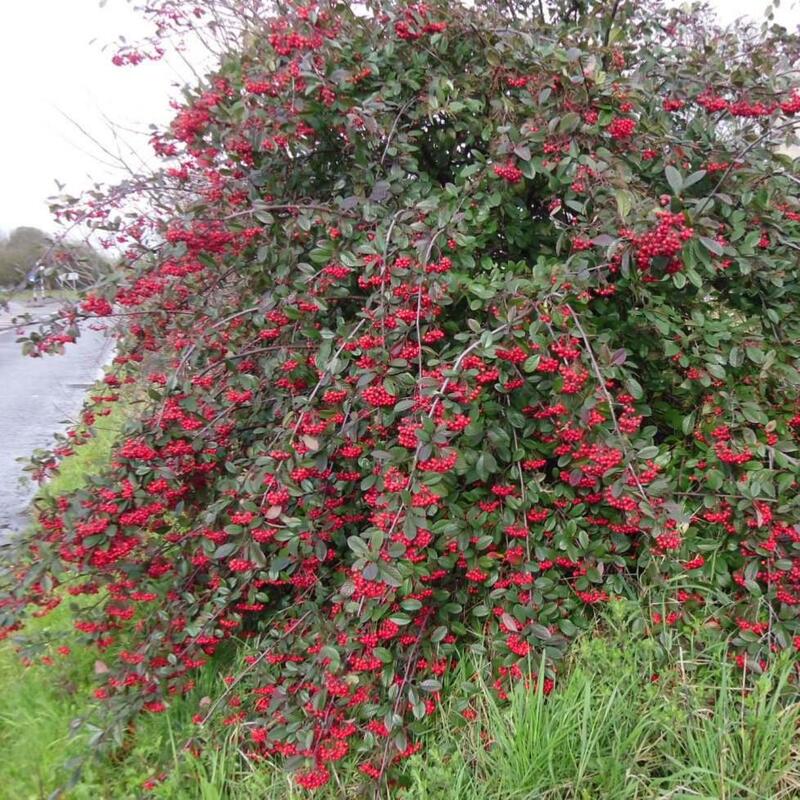 The abundantly produced egg-shaped red fruit are borne is large trusses which weigh down the branches from November through until late in the NewYear. 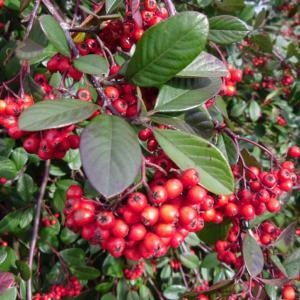 Known as the Late or Milkflower Cotoneaster, this form is the most commonly cultivated in the UK. 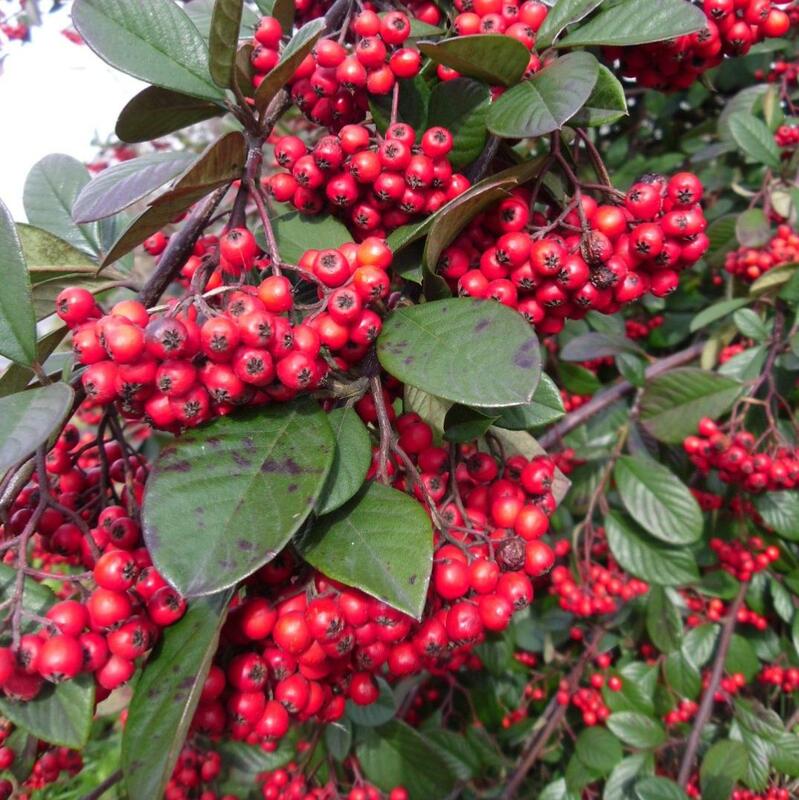 It makes an elegant stand alone shrub which can be wall trained to great effect, and can also be used to create an amazing hedge. 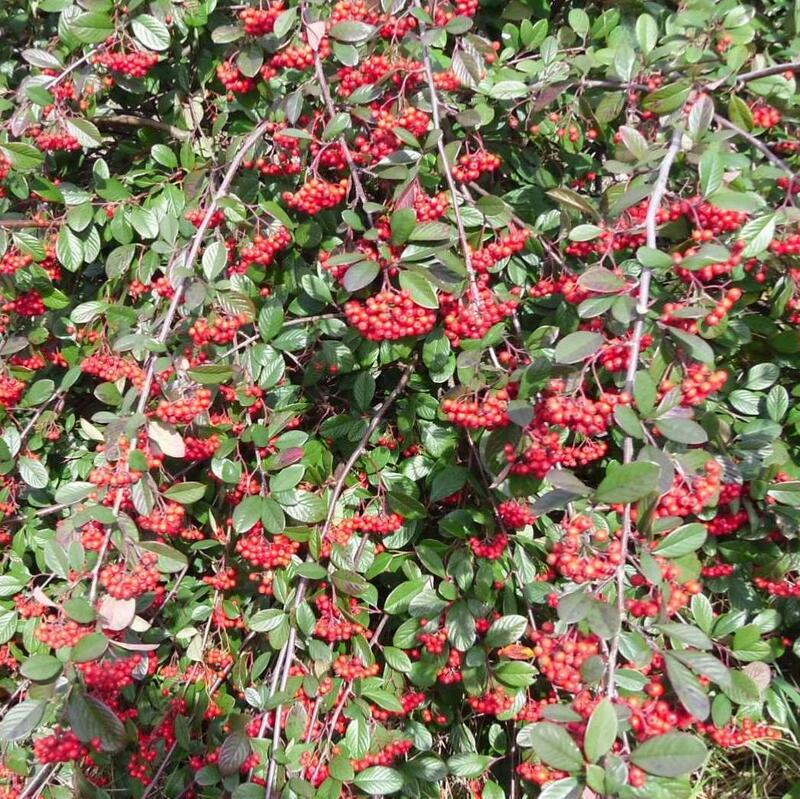 The fruit is late and rarely taken by the birds until the very last. A native of Yunnan, China; introduced in the first quarter of the 20th century, and first discovered by the Abbe Delavay. RHS Award of Garden Merit. Bushy Plants supplied ready to plant in 9cm Pots.